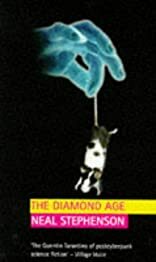 THE DIAMOND AGE: OR, A YOUNG LADYS ILLUSTRATED PRIMER was written by NEAL STEPHENSON. THE DIAMOND AGE: OR, A YOUNG LADYS ILLUSTRATED PRIMER was published by Roc. Subjects of THE DIAMOND AGE: OR, A YOUNG LADYS ILLUSTRATED PRIMER include Fantasy, Fiction, and Science fiction. About NEAL STEPHENSON (Author) : NEAL STEPHENSON is a published author. Published credits of NEAL STEPHENSON include The Diamond Age.